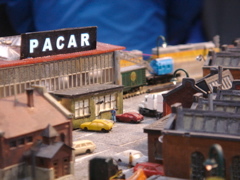 One module (Tom's 30 degree "PACAR" foundry) was shown with Tom's two end caps. 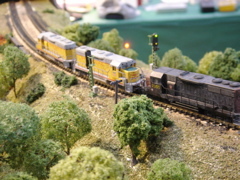 Tom would run one train at a time, keeping the other train hiddin under the wood cover of one of the end caps. 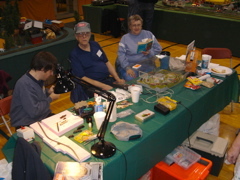 The BYOZ and repair station. 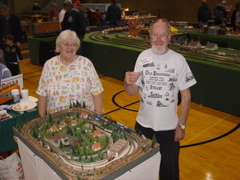 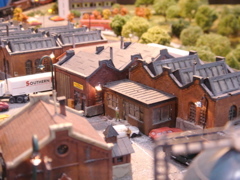 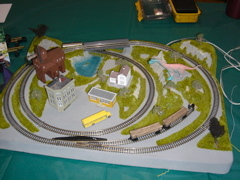 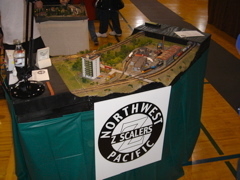 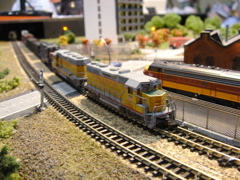 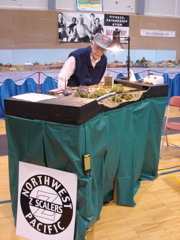 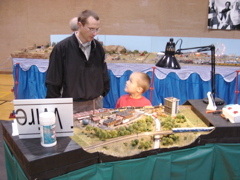 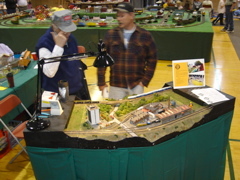 Harold and Thea Oakley showed Euro Marklin Z and their layout which runs up to 6 trains at a time. 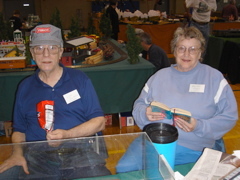 Jim and Birtie Glass at the BYOZ table. 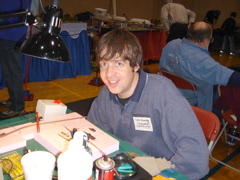 Andy Hunting worked on club members equipment Saturday..lots of oiling and cleaning. 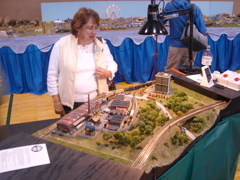 The modules were shown at about 40" instead of the regular 50" height this time. 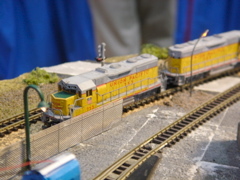 Lots of parents saying "don't touch"...where were just next to the Lego Trains interactive area...not the best place to be. 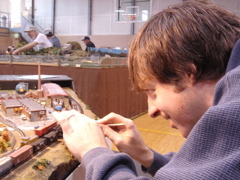 Andy Hunting and his coffee stick tool. 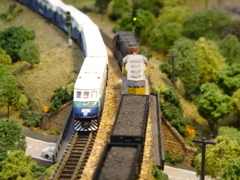 You tend to forget just how small Z scale is!